During the winter season the cold weather takes a toll on our skin, leaving our skin dry and lifeless. This organic face mask is perfect to revive your skin, leaving it feeling soft and moisturized. Take a look below on how you can create your own! Begin by mashing the half banana in a bowl with a wooden spoon. Once you've created a smooth, consistent texture, mix in the honey and cinnamon. To apply, start with a freshly cleaned face. Gently apply the mask with your fingers, and leave it on for 30 minutes. After 30 minutes, gently rinse and wash your face with a simple facial cleanser. Keep the mask in a sealable container. Refrigerate after use. The banana is to help sooth dry, irritated skin. The honey is beneficial in so many ways, but the main reason I chose honey as the main ingredient is because it helps replenish your skin from the harshness of every day life, including time spent in the sun. The cinnamon is a nice touch to fight blemishes and open your pores. I've been doing some research on different types of face masks, and I'm so looking forward to trying out different types for different seasons. What's your favorite type of face mask? **This recipe contains cinnamon, which can cause irritation if you have sensitive skin and/or are allergic to cinnamon. If you're unsure of how your skin will react, test it first on a smaller area. good one. last night i did a mask with half a lemon and a few drops of raw honey. lemon is said to help lighten and brighten the skin. this burnt my whole entire face. i am red as a tomatoe. it was only on my skin for 30 SECONDS and had to wash it off and was still burning 2 hours later!! Unfortunately I had a similar reaction, but mine wasn't as bad. As soon as I felt it begin to burn, I washed it off of with cold water. I then put a cool, damp cloth over my face until the redness went down. I think this reaction might have been caused by the skincare that I use which contains salicylic acid. I used the full amount of cinnamon, so I would definitely recommend less for anyone who tries it. I'm bummed that it didn't work! It sounded great. 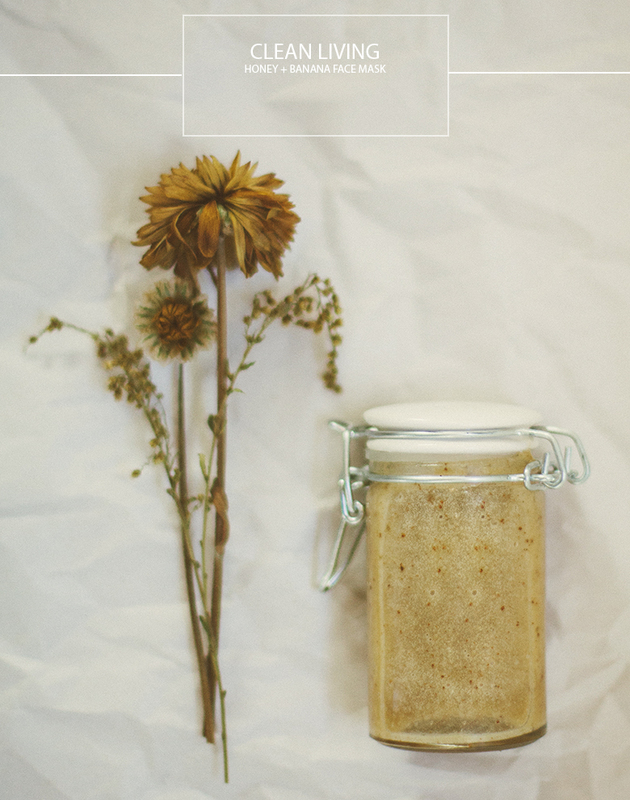 I'm loving the natural beauty product DIY's lately! Banana and honey are delicious to eat on their own, but it is definitely a great natural moisturizer too. My skin needs some of that! I seriously love all your clean living DIY's! But I was wondering, how long do they last before going bad? i love this! Will try it asap. I am going to try this tonight! I am a huge fan of DIY face masks because you know exactly what is in them and they don't contain any nasty chemicals. I do an orange juice and baking soda face mask about once a week but I will have to try this one now that I have dryer winter skin. I defintely want to try this! I love simple and natural facemasks. This one would be great to try! I like using tomatoes when I have breakouts or oily skin, avocado for nourishing, and sugar for exfoliating. what theme do you have in your blog? please help me. i'm creating a new one and i'm lost. I love your blog. you are fantastic. My go-to mask is Manuka honey, so I can't wait to try it with some bananana and cinammon. In the summer, after perhaps a bit too much sun, I love to slice cucumbers paper thin, lay down, and have friend layer them over my face. So refreshing! The banana sounds really nice, my dry winter skin could really use some loving. 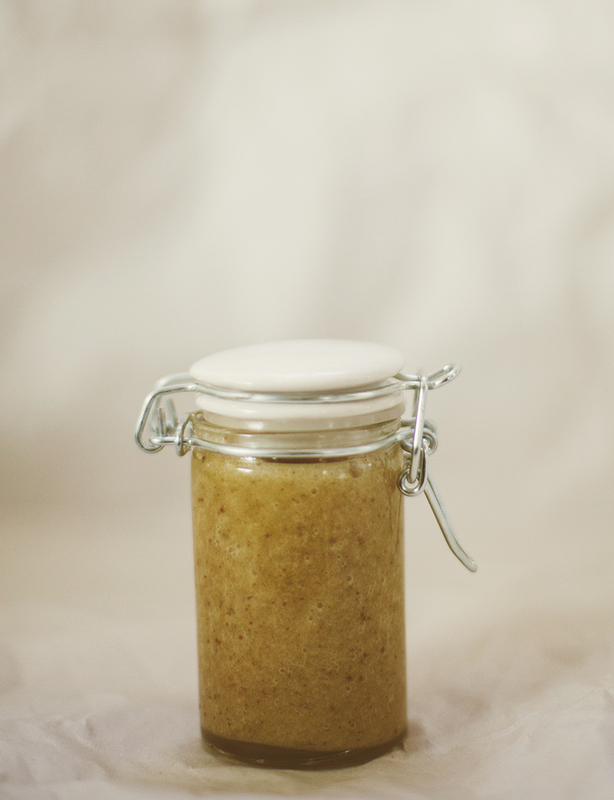 I absolutely love mixing cinnamon nutmeg and honey for a mask. The nutmeg is supposed to me an anti-inflammatory and help to reduce redness. If I have leftover scars I add some lemon to the mix. Absolutely love this - can't wait to try it! Totally gotta try this mask. I am seriosuly excited about this mask recipe, it couldn't have come at a better time for my face. it has been really dry the past few days and I just keep slapping on moisturizer but it's not working well. Thanks! does it work on all skin?? The only reason I would hesitate to use this is if you have extremely sensitive skin or are allergic to any of the ingredients. I've never tried but it sounds interesting! I will have to look into it! Great idea! I'm trying it right now! Thanks! By the way, is it okay to apply this on everyday?